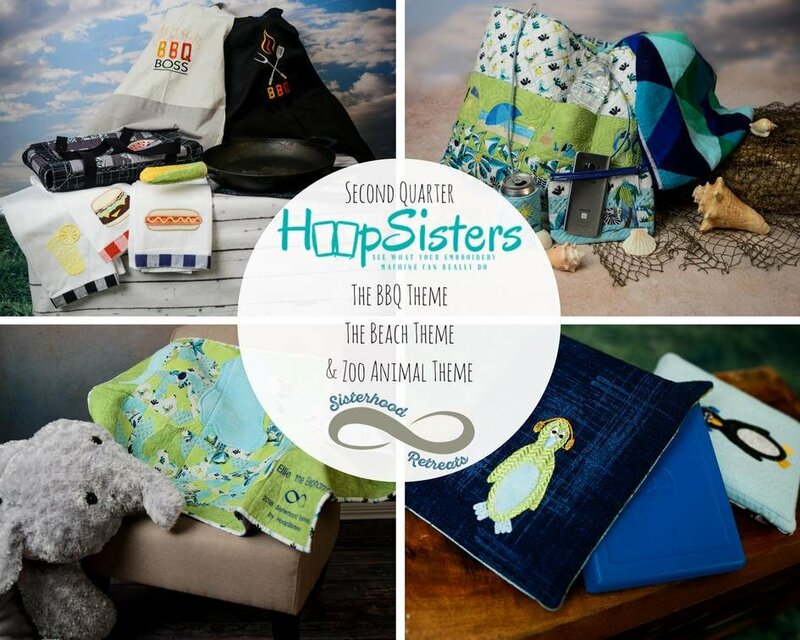 Join us for a new Hoopsisters Retreat! This year we will be exploring a new Hoopsisters concept called "Sisterhood Retreats". are included in class fee. Bring your sandals, hat and sunglasses and join the fun. Yearly Option: Attend all "Hoopsisters Retreat" classes at no extra cost to you. You will get all 12 monthly themes. Plus you will receive a 15% discount on sewing notions for the entire year. Quarterly Option: Attend all "Hoopsisters Retreat" classes for four months. You will get 4 monthly themes and receive 10% discount on notions the day of your classes. Monthly Option: Attend one class and receive one Monthly Theme. Each month you will receive designs for a new theme. full instructions for three projects. You will then be able to complete the others at your leisure.